Most people like music, but Grado PS500e headphones, available in Winnipeg from Creative Audio, are too good for most people. We make them for music connoisseurs. For the ones who anticipate Amy Winehouse’s breath between lyrics. For the ones who absolutely need to place the second violin with their eyes closed. If you get chills from a Cuban trombone solo, we need to talk. The Grado PS500e is the younger brother to the Grado PS1000e, with newly redesigned 44mm speaker and the improved 8 conductor cable design and a smaller metal and wood hybrid air chamber. Both the hidden mahogany core and powder-coated aluminum housing parts under-go damping treatments that help control and dissipate resonances, for an undistorted flow of the musical signal. The Grado PS500e boasts an overall sound that is pure Grado, with warm harmonic colors, rich full bodied vocals, excellent dynamics, and an ultra-smooth top end. The Grado PS500e is a compact monitoring tool that will put a smile on the face of the most demanding music professionals, as well as the most demanding audiophiles. 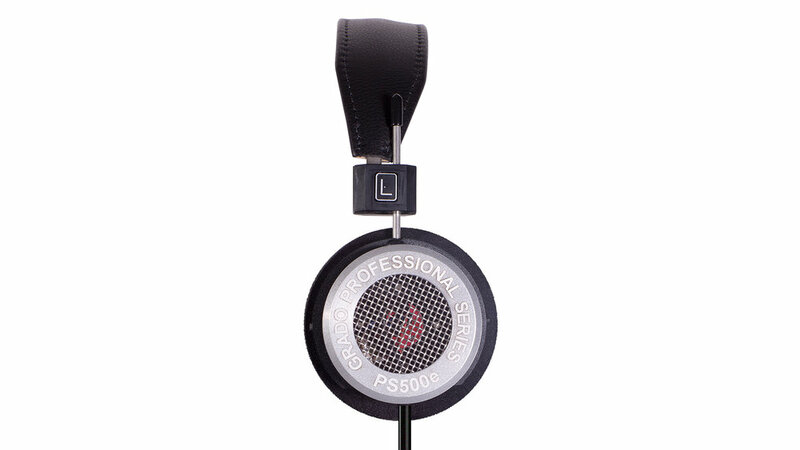 Are you interested in the Grado PS500e? Thank you for your interest in the Grado PS500e! One of our team will be in touch with you very soon.